Bread is not good for birds. It's not deadly poison for most of the wild birds that humans commonly feed, but it's basically empty carbohydrates. Wild birds usually have plenty of opportunities to burn off calories, but it's still a better idea to feed them something that more closely resembles what they naturally eat. There's also that possible canard, ha ha, that says if a duck eats dry bread and then has a drink, the bread can swell in its throat and choke it, so you should always chuck your duck-bread in the water and not on dry land. I find this more plausible than feeding Alka-Seltzer to pigeons in order to cause them to explode, but I imagine there'd be pretty strong selective pressure against ducks living in human settlements who choke on bread. In any case, I resolved to attempt to kill some ducks with astonishment, by feeding them something that's actually moderately good for them. I got a degree on this subject from an intensive five-minute study program at the University of Google. Then, when I next went to pick up twenty tons of seed for the cockatoos from the local farm-stuff shop, I also bought a bag of "layer pellets". 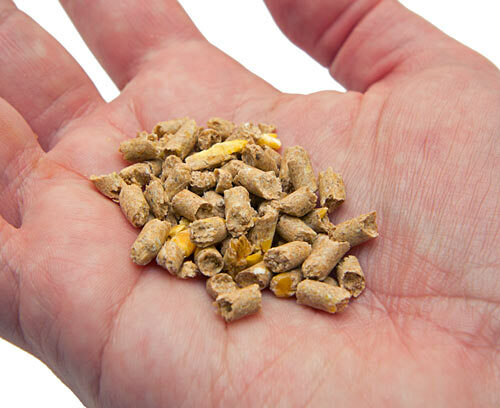 Layer pellets are feed for egg-producing chickens. 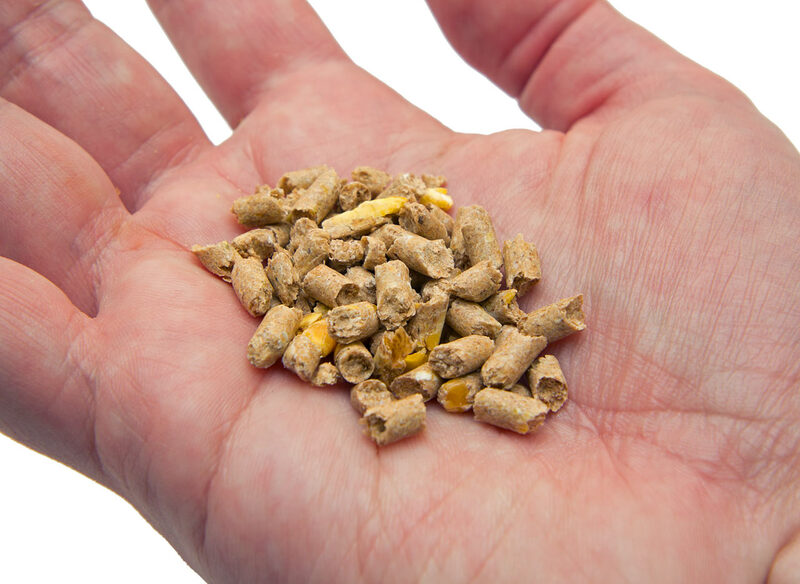 They're a compound feed made from various grains and maize and suchlike, generally with a lot of calcium, for eggshells. Naturally, ducks like the Pacific Black Ducks at my nearest good-sized lake dabble around on the bottom of the lake with their tails pointing up ridiculously, and eat water-plant seeds, along with the occasional insect or snail or bits of plant matter they can find both in the water and on land. Layer pellets seem a pretty natural kind of food for ducks, though. 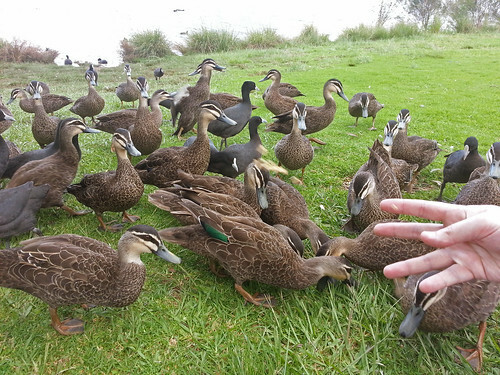 There's endless debate over what people who keep ducks of their own should feed them, and of the niceties of wild-animal food intake in a world that contains humans tossing stale bread and rubbish bins full of fascinating stuff for animals equipped to fish it out. But layer pellets, for ducks, certainly seem to be close enough for government work. I tried one of the pellets myself. If you were to draw a Breakfast Cereal Nutrition Versus Flavour graph with the X axis for "healthiness" and Y for "flavour", corn flakes might score something like 5 and 6 respectively, and Frosted Flakes of Nothing would score 1 and 8. Layer pellets taste like a cereal that would score 10, and 0.2. Would the ducks like them more than I did? Would they even recognise these things as food? 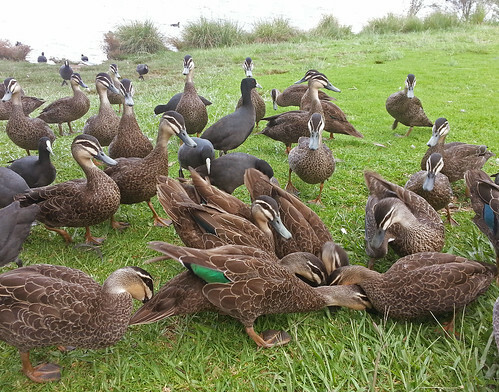 Both the ducks and the eurasian coots that inhabit Wentworth Falls Lake were entirely delighted with the layer pellets. The pellets are denser than water. 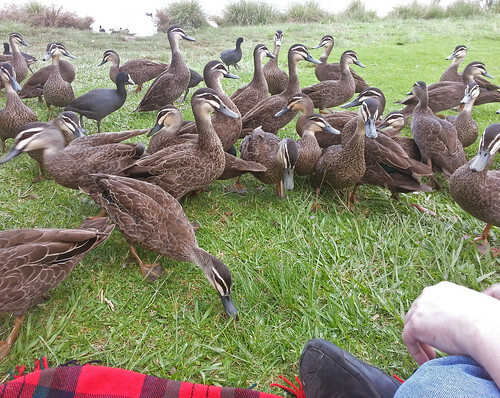 If I threw them in the lake then I suppose the ducks might dabble them up again, but it was more fun to just scatter food near our picnic blanket. Ducks' beaks were stabbing away at the ground like little pneumatic drills. 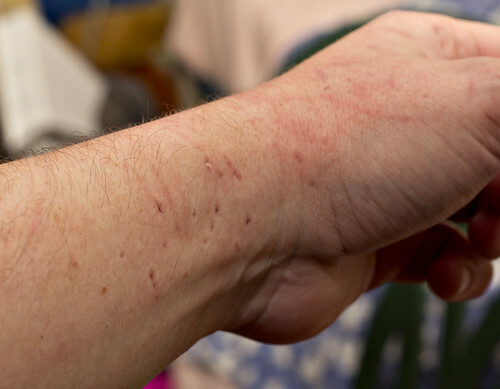 ...what happens when a cockatoo decides to perch on my arm. All in all, a very successful day out. Layer pellets aren't expensive, either. Highly recommended. "I got a degree on this subject from an intensive five-minute study program at the University of Google." I needed that laugh. Thanks! PS: that's probably the nicest photo of layer pellets I've seen. I can almost taste them (or not, as the case may be)! Love the pics. Feel bad about all the cheap white bread I bought for my college ducks. Link to "extraordinary feet" doesn't work for me. "If you were to draw a Breakfast Cereal Nutrition Versus Flavour graph with the X axis for "healthiness" and Y for "nutrition", corn flakes might score something like 6 and 5 respectively, and Frosted Flakes of Nothing would score 8 and 1. Layer pellets taste like a cereal that would score 10, and 0.2." It's entirely possible that I'm just too slow for reading comprehension off the back of a sleepless weekend, but I am not understanding that graph at all. Should one of the axes be "tastiness" or something? You're quite right! Fixing it. One of the reasons not to feed birds a lot of bread is that it can cause Angelwing disease. Basically the high amounts of fat and sugar causes their bones to become deformed and brittle. Called angelwing because it deforms their wings so they can't properly fold them up and they stick out. We rescued a gallah from an old guy who fed it nothing but sunflower seeds, chocolate and toast. He couldn't fold his wings, couldn't walk properly because of multiple broken legs, an X-ray showed he'd had dozens of healed minor breaks throughout his wings.